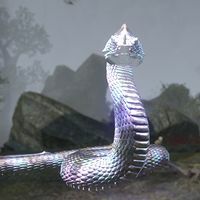 The Ghost Snake is the spirit of a giant snake worshipped by the Mabrigash in the Vale of the Ghost Snake. The Trial of the Ghost Snake: Decide the fate of the Mabrigash tribe. This page was last modified on 25 January 2018, at 02:34.